Interior Features Picture yourself in the country! Room for you and all of your toys! Expansive walkout ranch on almost an acre lot within minutes of town. Four bedrooms, two bathrooms with a lower level walk out. Lower level is suitable for entertaining with a party room/bar area. 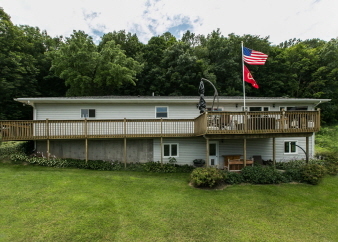 Large deck for enjoying your country side view!